3 – Outside frame with trim flange. In quality installations, this flange is trimmed to fit inside the exterior trim, creating a clean, original look. Some other companies will save time by mounting flange over exterior trim. 4 – Outside pane of glass. 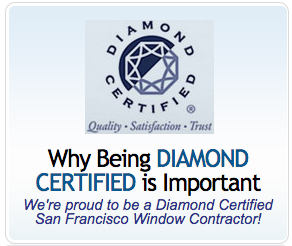 Top quality windows will use 1/8” double-strength glass. The inside surface will be coated with LoE2* or LoE366* for UV protection. Low-quality windows will use 1/6” single strength glass and may have a lower grade UV coating or none at all. 6 – Window spacer. This keeps the two panes separated. It is coated to create an airtight barrier. Top quality windows will use a non heat conducting metal that reduces heat transfer to the air space when it gets hot or cold. Low quality windows will use metal that will transfer heat or cold in to the airspace. 7 – Inside pane of glass. Top quality windows will use 1/8” double strength glass. 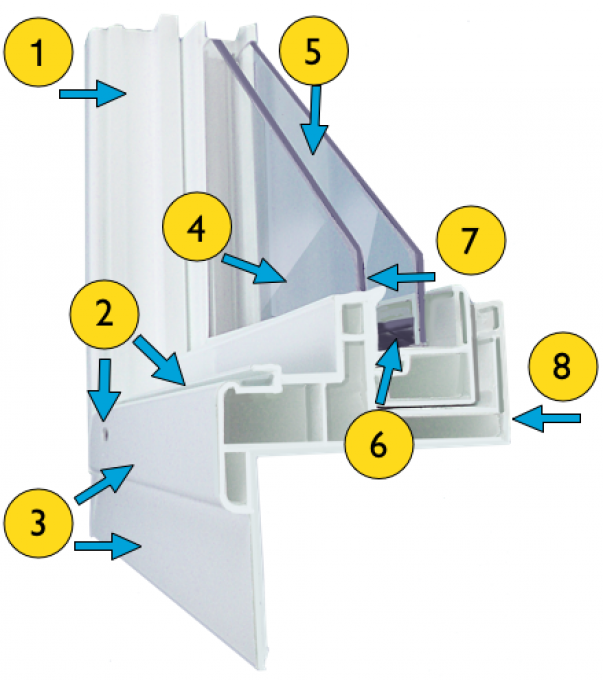 Low quality windows will use 1/6” single strength glass. This will result in a “wavy” effect when looking through a large window. 8 – Inside frame. This remains white or tan, even if the outside has been factory painted with a custom color (available from select manufacturers on select models). The inside frame of vinyl windows is not paintable.